I love summer time because I love fresh fruit! When I bought these peaches I just bought them to have on hand at home to eat out of hand but that quickly changed when we had a couple of cool days. I pretty much refuse to turn on the oven in the summer, I like my house cold! So the cooler temps gave me the perfect excuse to try a dessert idea with these peaches. 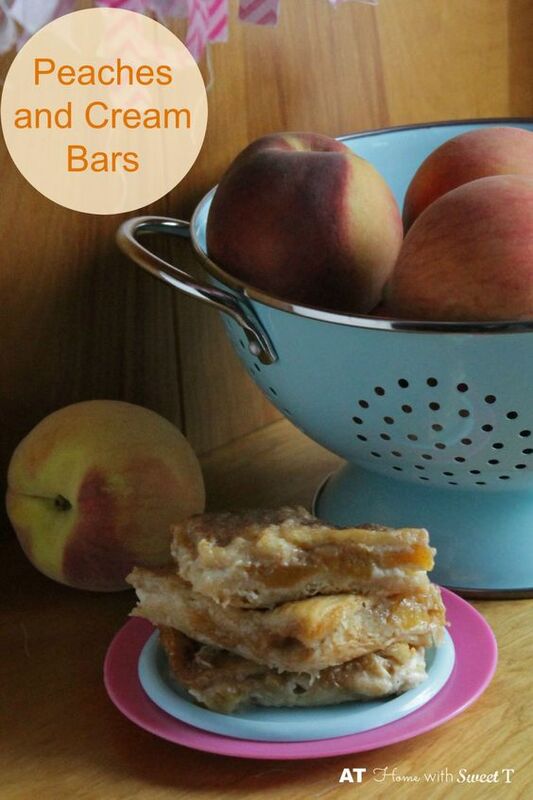 These Peaches and Cream Bars turned out great! and smelled delicious baking. Roll out half of the crescent roll dough into the bottom of an 8 or 9 inch square pan. Mix 1/2 cup sugar and vanilla with the softened cream cheese then spread onto the crescent roll dough. Sprinkle some of the cinnamon and sugar mix onto peaches and toss. The peaches mixture goes on top of the cream cheese mixture. Cover the peaches with the remaining crescent roll dough. Pour melted butter on top of the crescent roll dough then sprinkle with remaining cinnamon sugar. Bake at 350* for 30 minutes or until the center dough is baked and not doughy. Let cool, serve warm. These were the perfect summer treat. I’m hoping for another cool summer day to make them again. Thanks for stopping by At Home with Sweet T!!! crescent roll, peaches, recipe, summer. Bookmark. 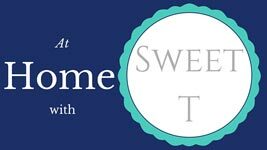 Visit At Home with Sweet T’s profile on Pinterest.